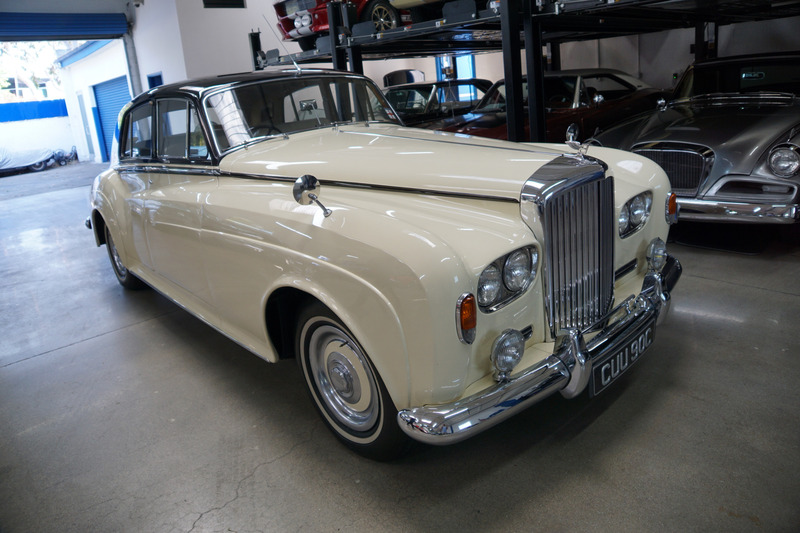 West Coast Classics are proud to present an absolutely stunning and exceptional example of this gorgeous last year and superby all original 1965 Bentley S3 (Series III) 4 door 6.2L V8 sedan and which was owned and stored for many years by a renown Saginaw, MI classic car collector in his climate controlled storage facility until his passing and which was one of the cars we recently purchased from his collection. 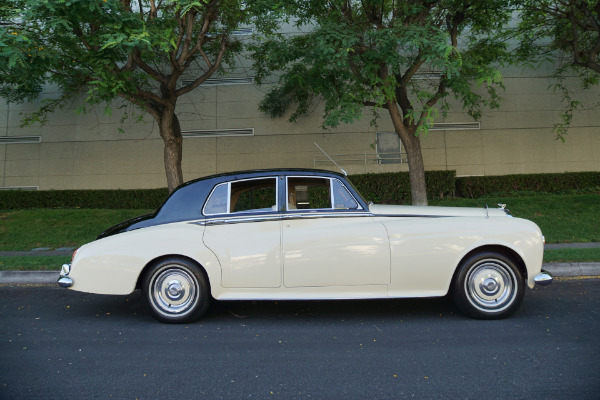 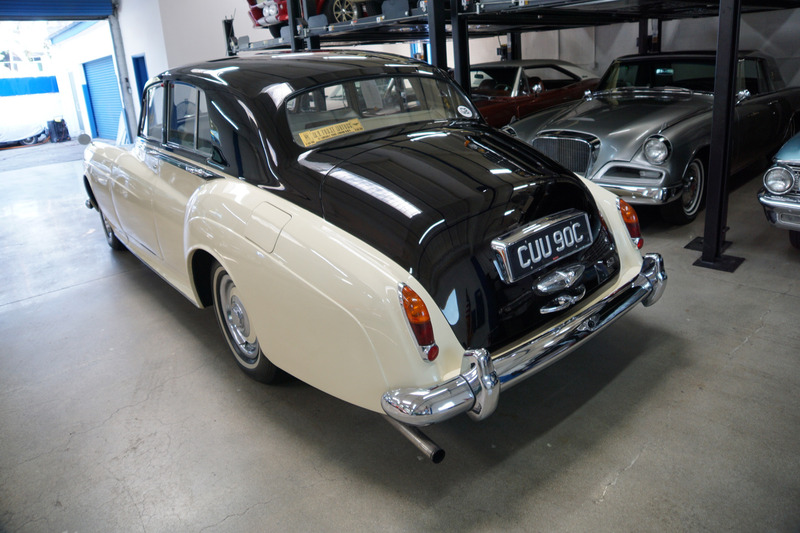 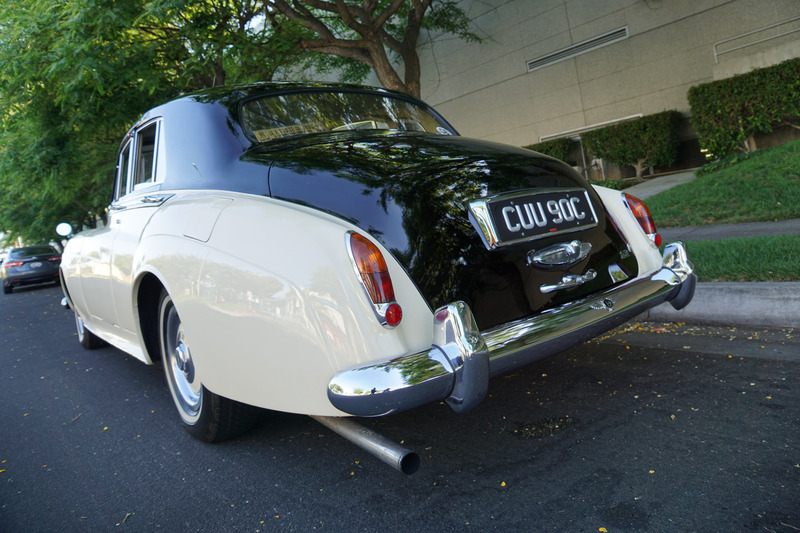 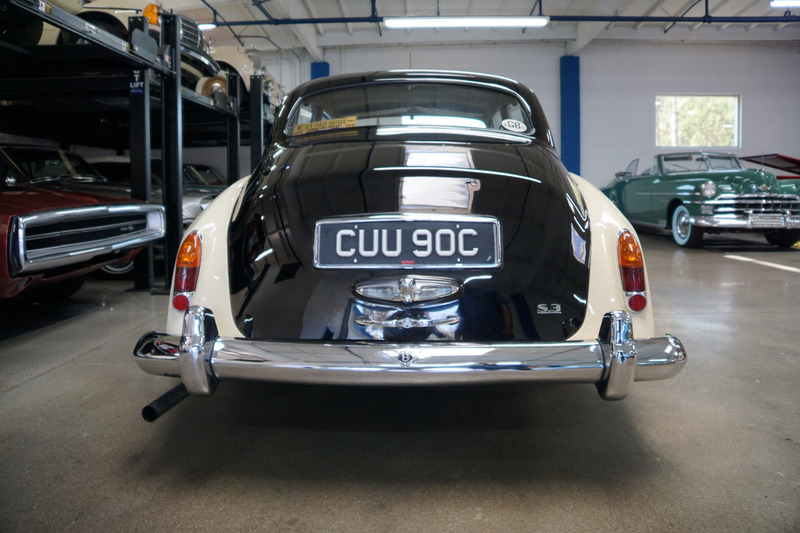 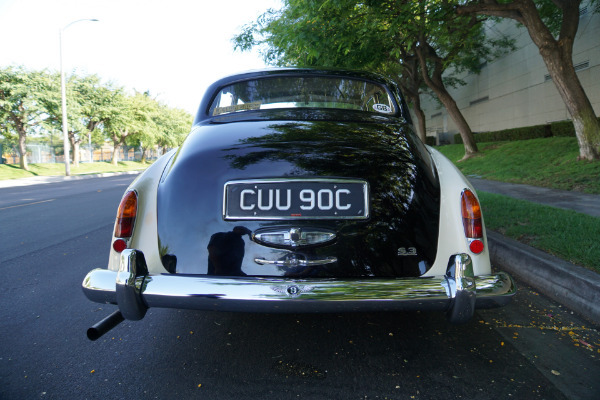 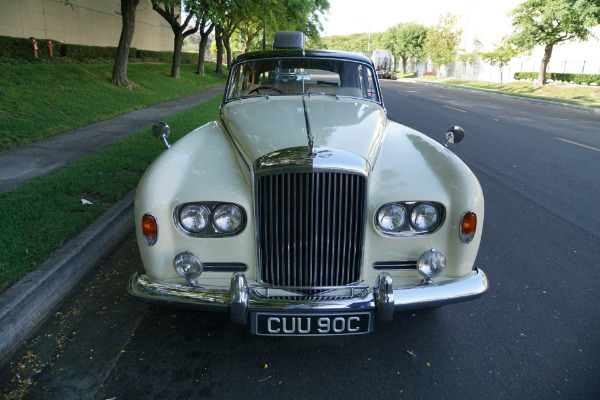 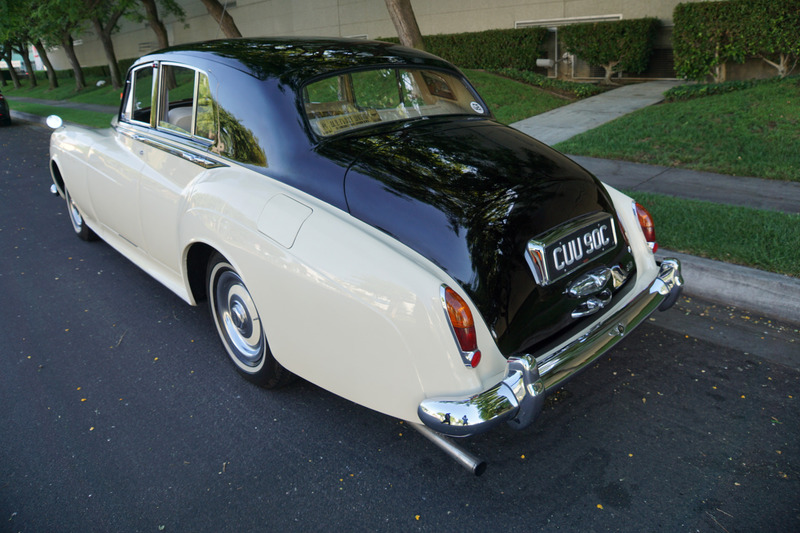 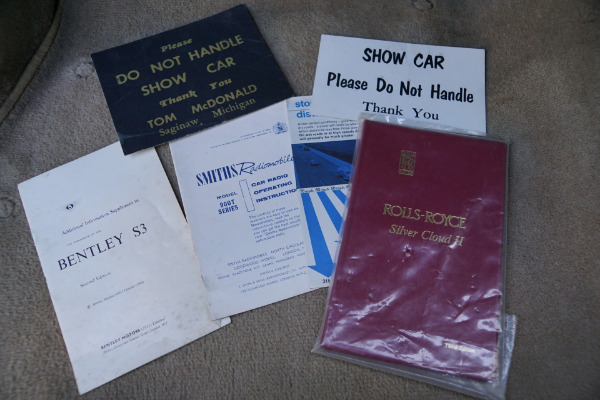 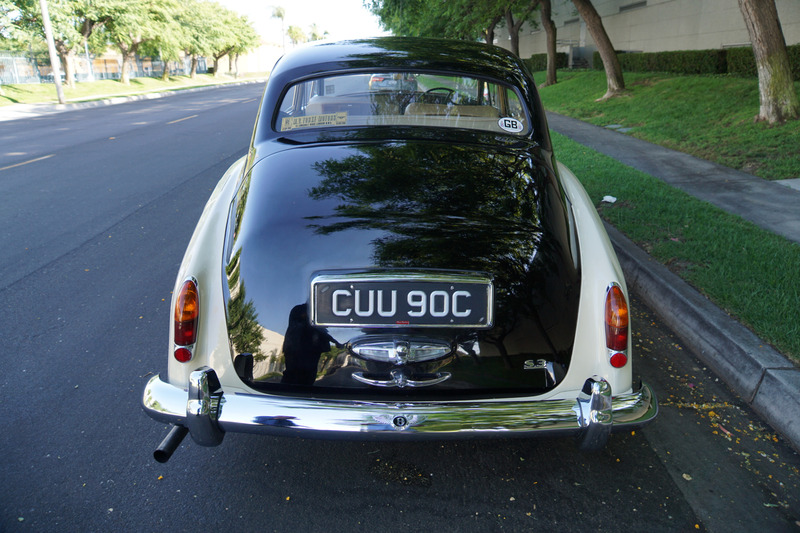 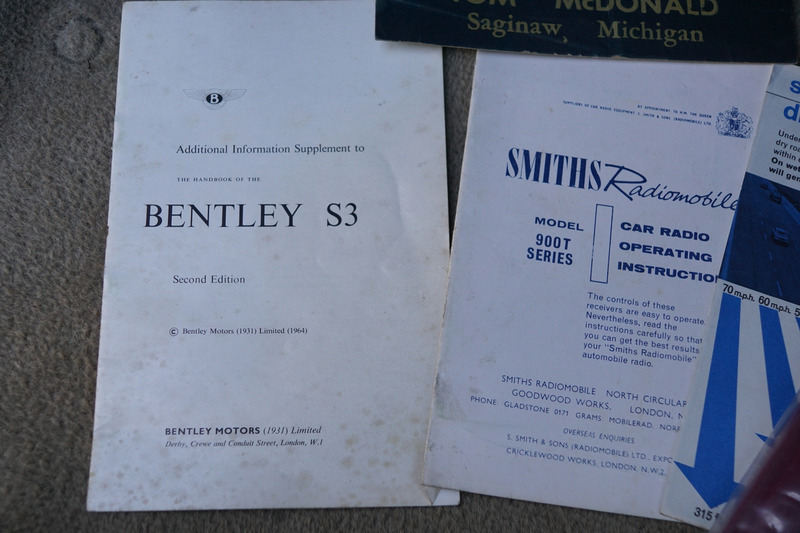 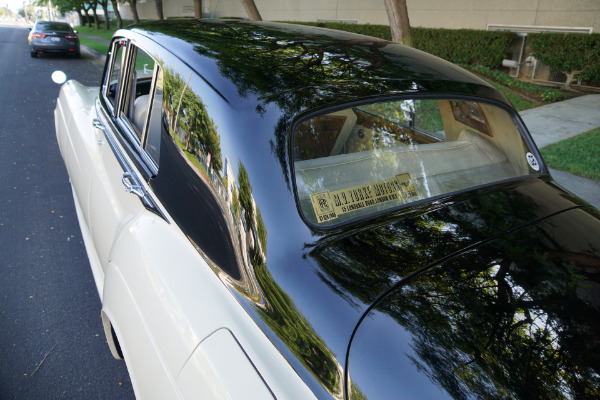 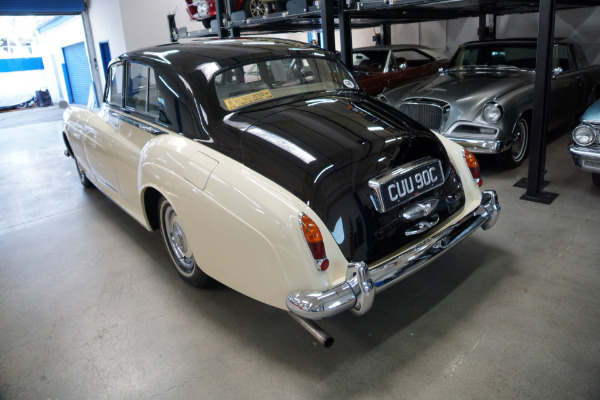 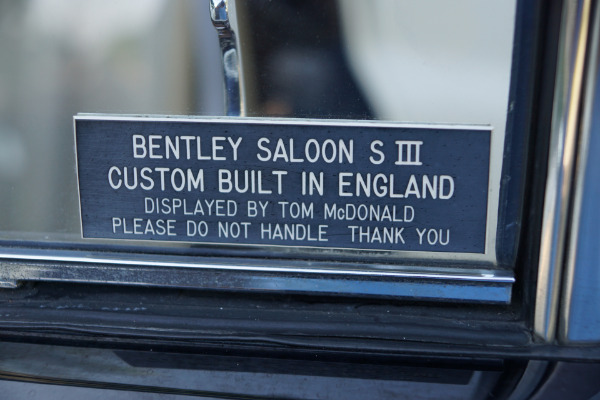 For those who are unfamiliar, the Bentley S3 and the Silver Cloud III were absolutely identical with both vehicles hand built at the Rolls Royce factory in Crewe, England with the only differences being their nameplates, radiator and mascots. 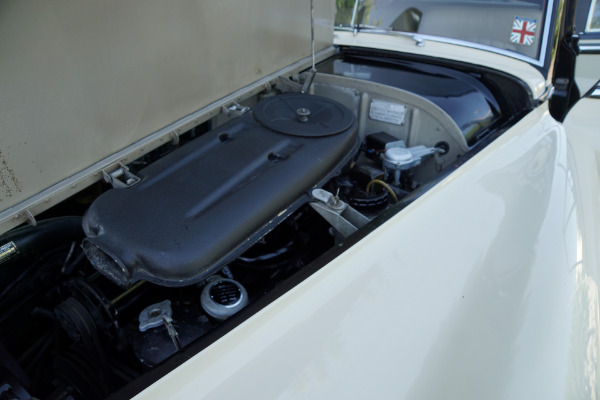 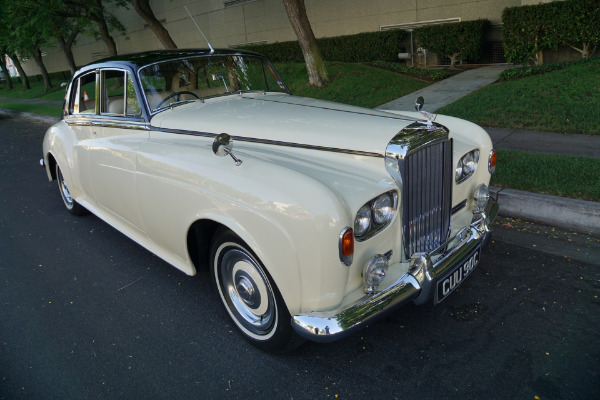 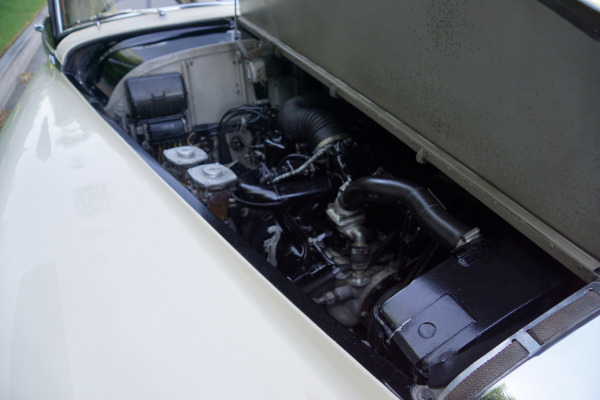 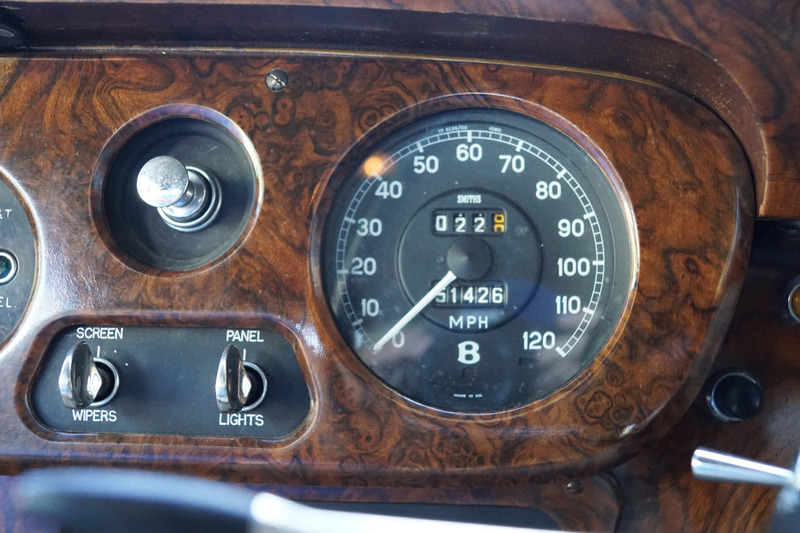 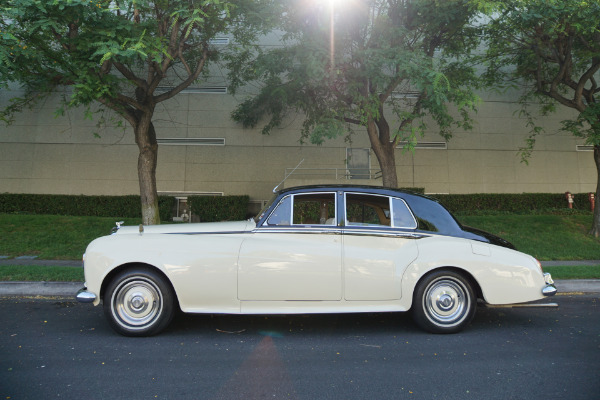 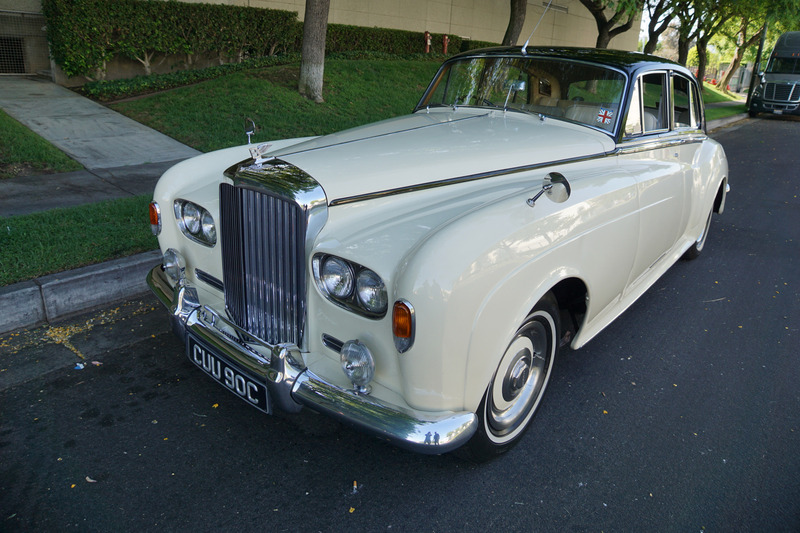 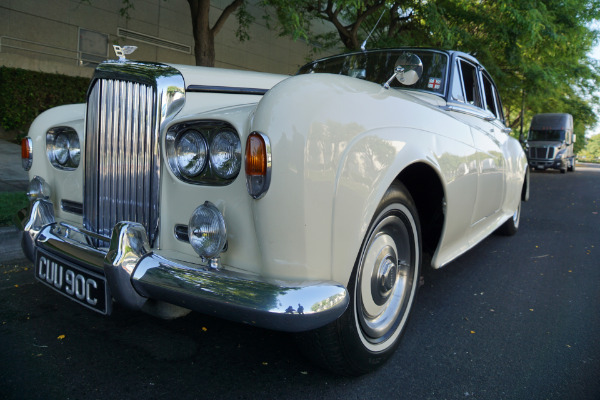 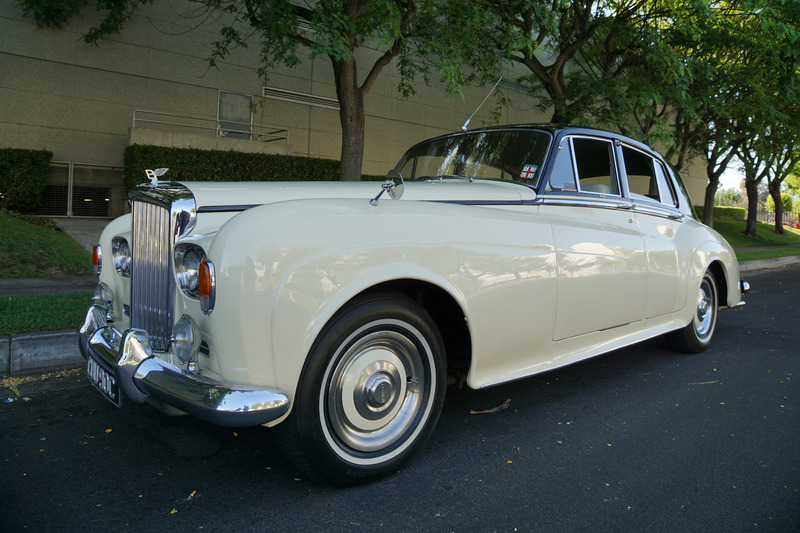 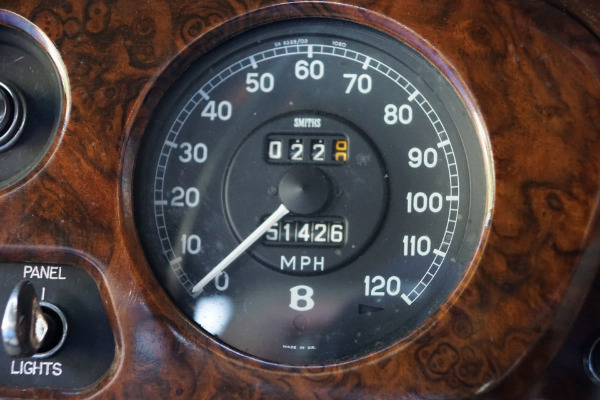 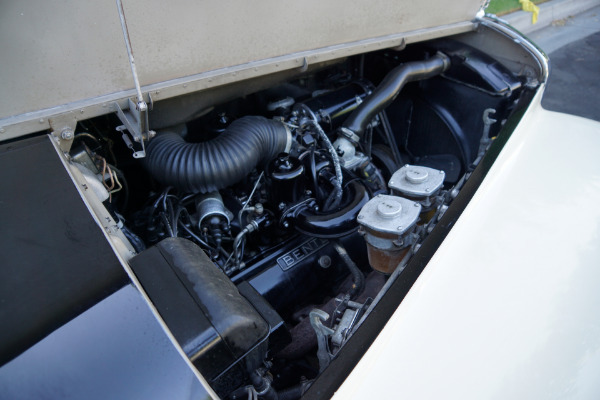 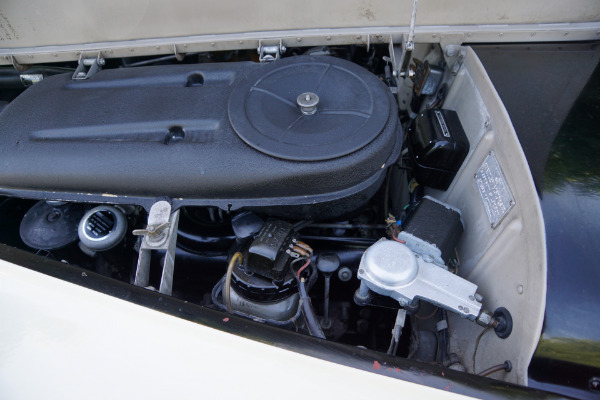 In the 1970's a few Bentley S3's were imported from England to the U.S. and converted to Rolls Royce Silver Cloud 'clones'; with the Silver Cloud III radiator, mascot and nameplates; as the Bentley was not as appreciated or as coveted at the time as it's identical cousin the Rolls Royce, making these all original Bentley's all the more rare and desirable than their cousins! 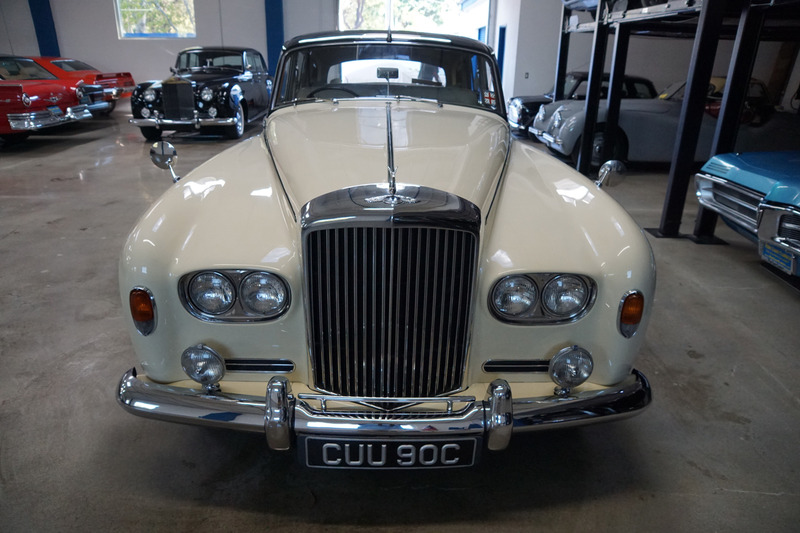 This particular example is mostly all original which is extraordinarly rare, with the car having been imported to the U.S. in the seventies. It still boasts it's all original Beige color 'Connolly' leather front and rear hides which show only very minor signs of wear for their age, showing quite obvious pride and care of ownership, with a beautiful original patina that we have chosen not to dye in the interests of keeping the car's rare originality. Obviously these all original hides could easily be dyed at minimal cost if the new owner preferred but our preference as purists is to keep the car's originality as it is such a rare find. 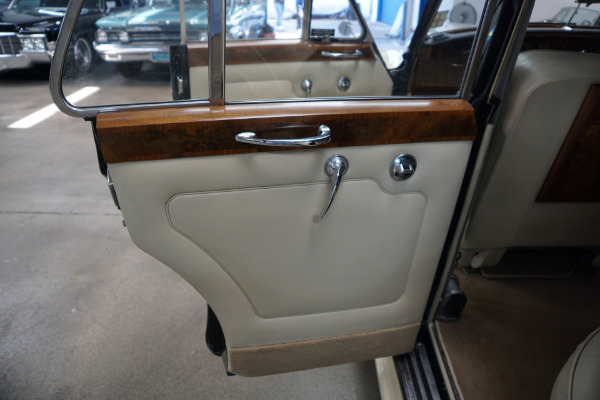 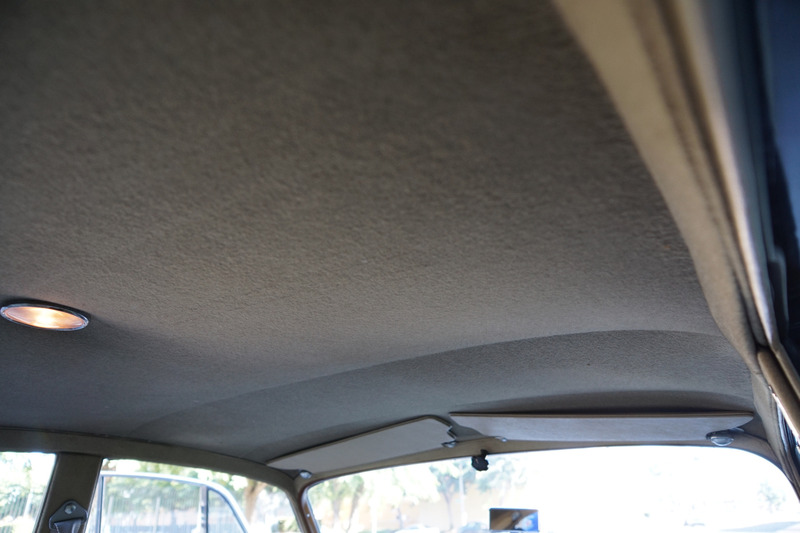 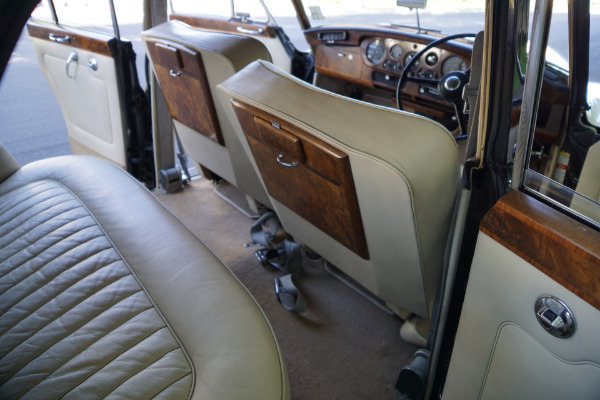 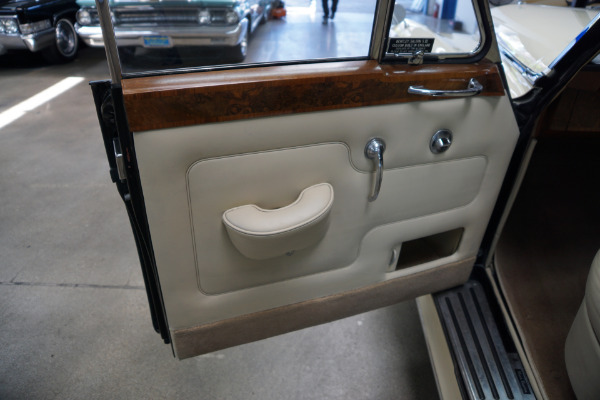 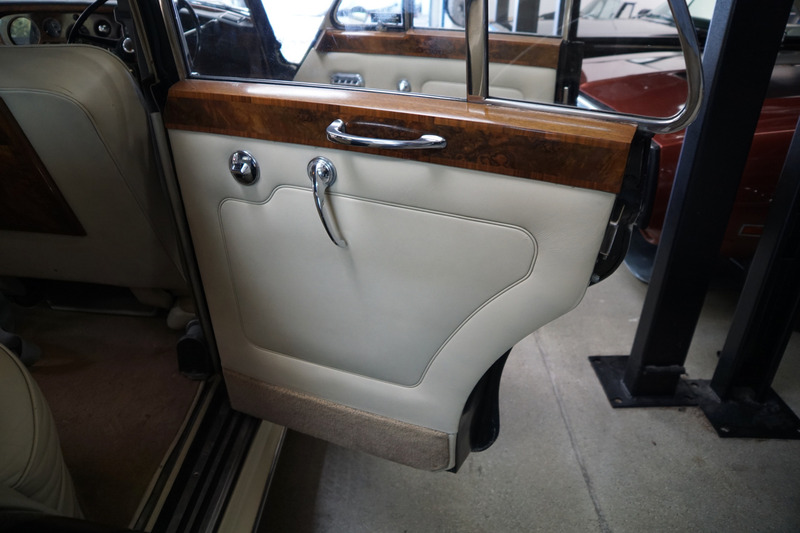 The rest of the interior including the carpets, wool headliner, door panels, window posts and kick panels, chrome, paint, the African burled walnut wood, seals, rubbers etc are all in superb condition throughout! 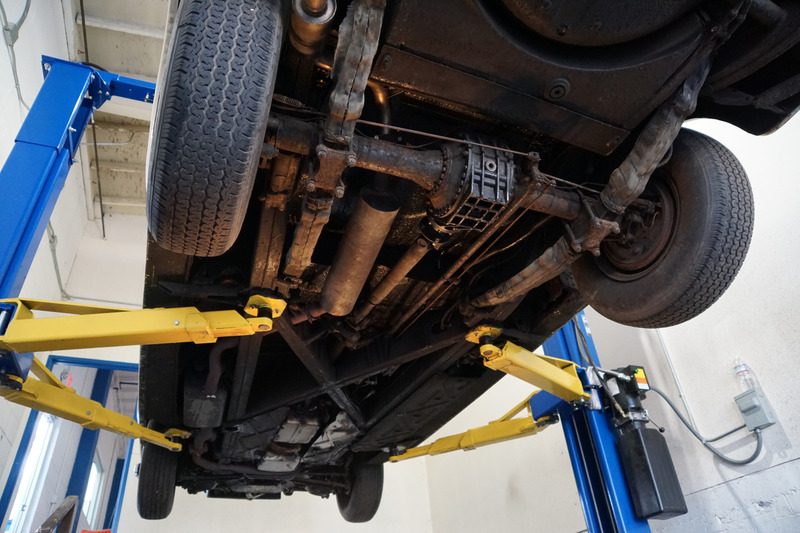 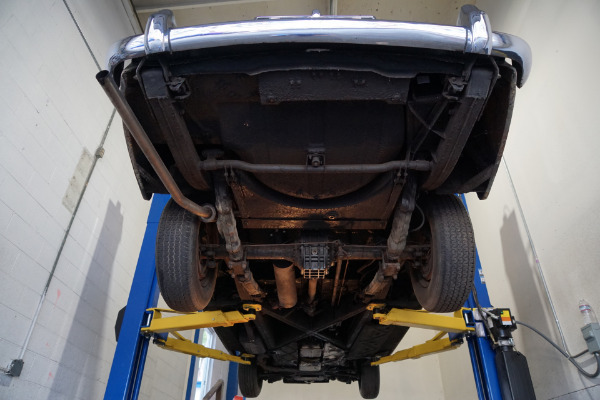 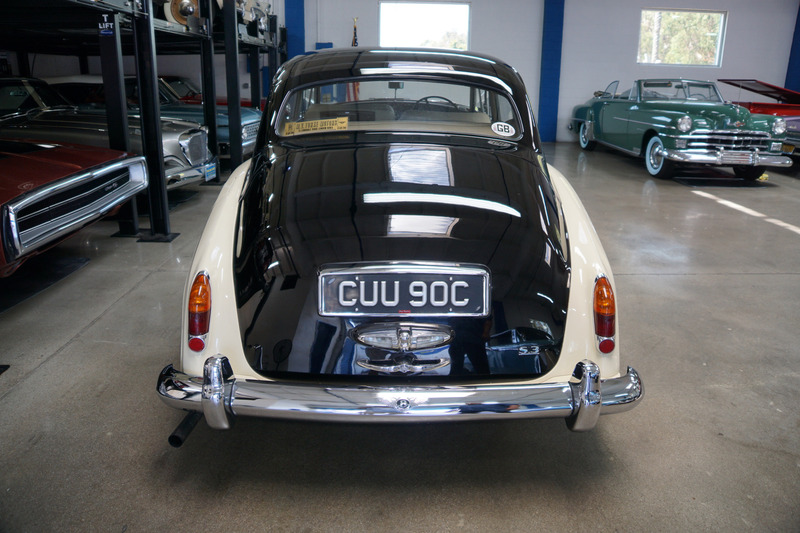 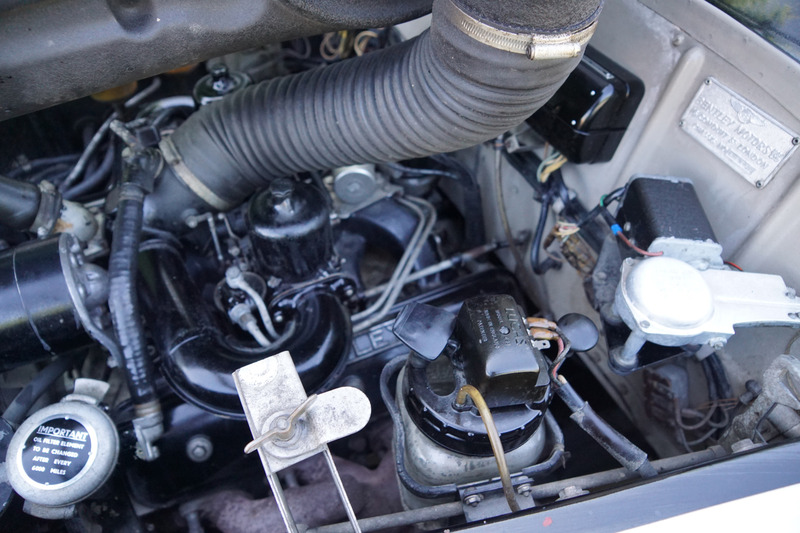 With decades of pride of ownership and professional specialist maintenance mechanically by its renown collector owner, this cherished and obviously always garaged car has no rust or history of any accidents. 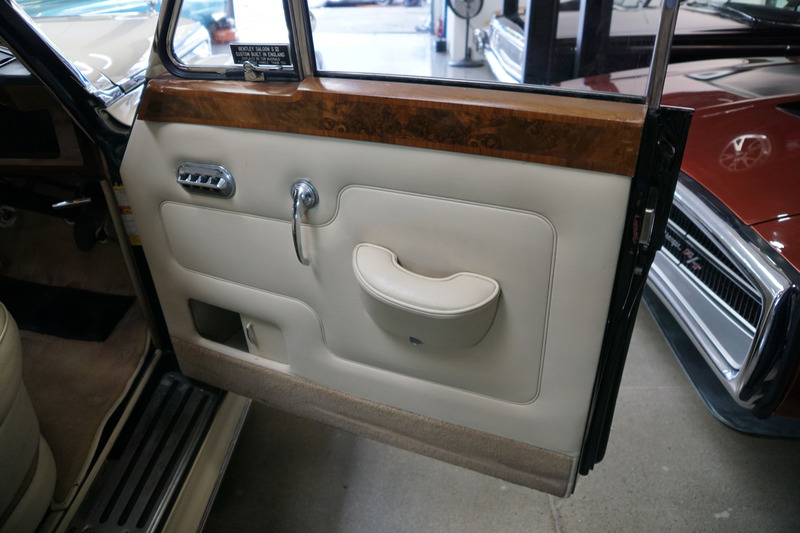 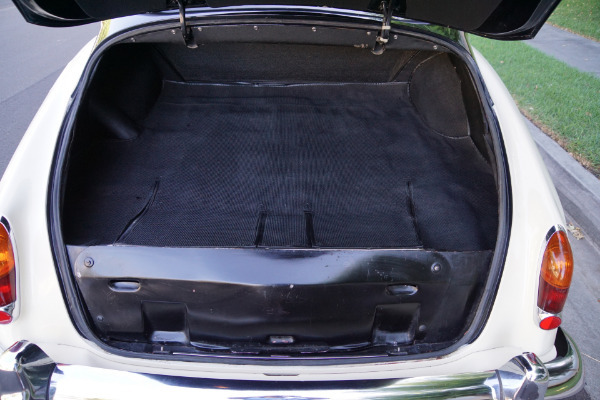 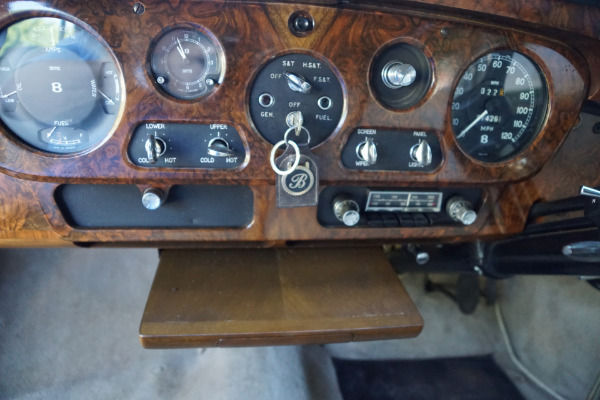 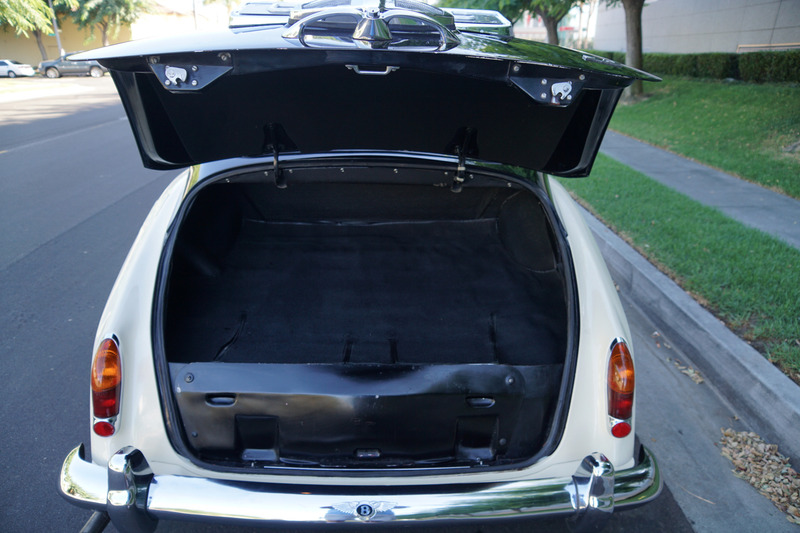 The original floor boards, trunk and all the typical rust-prone areas are completely solid and rust free! 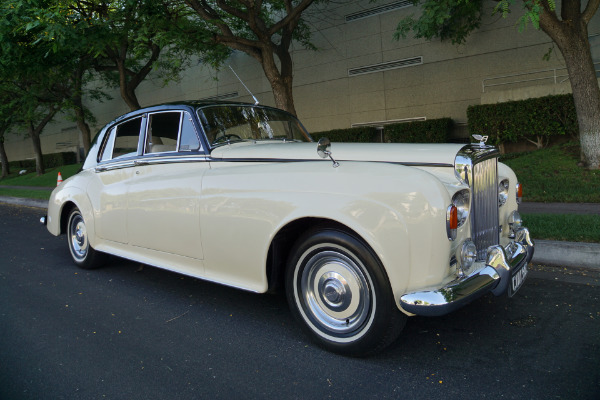 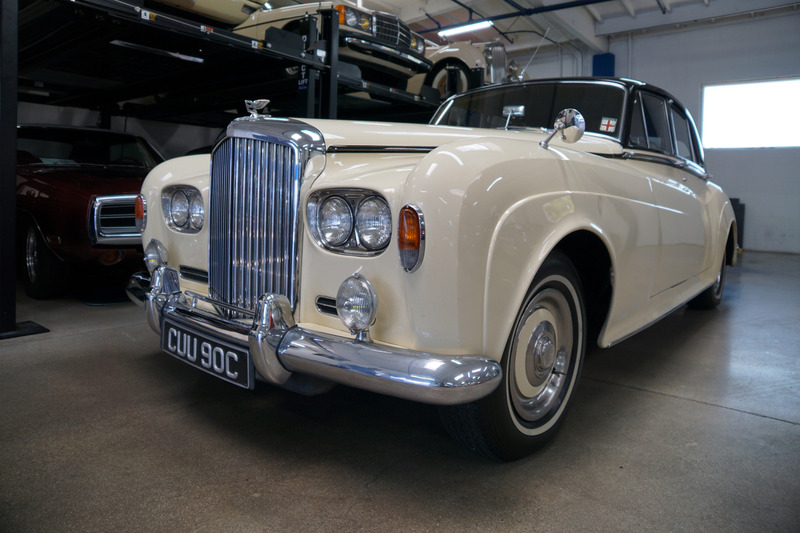 The car was originally sold at the renown 'Mann Egerton' Rolls Royce dealership of Berkeley Street, London in 1965 and later acquired by 'M.V. 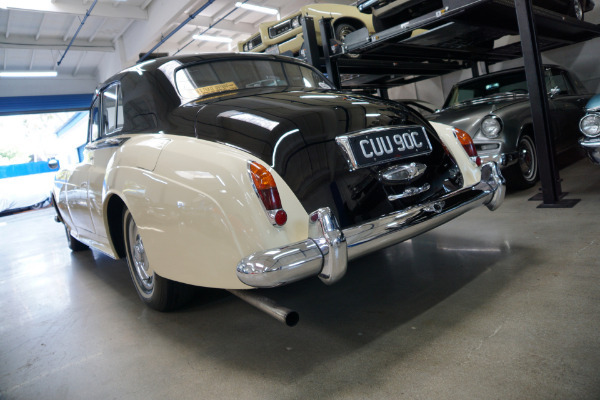 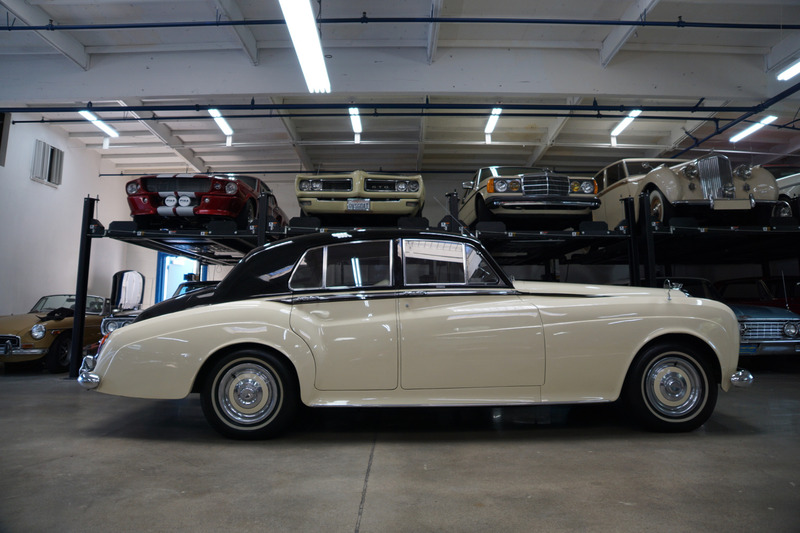 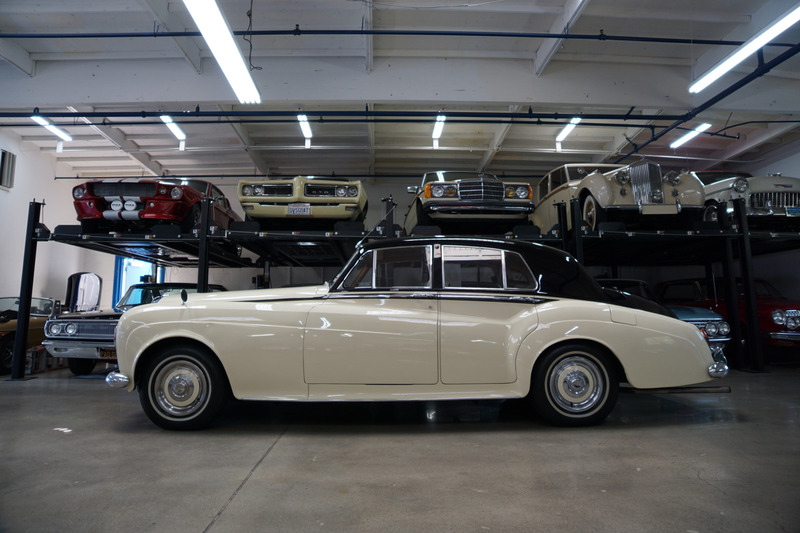 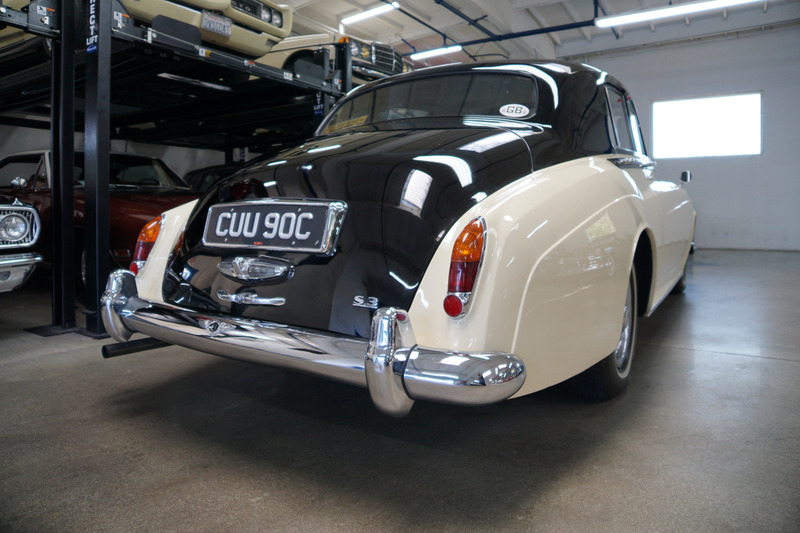 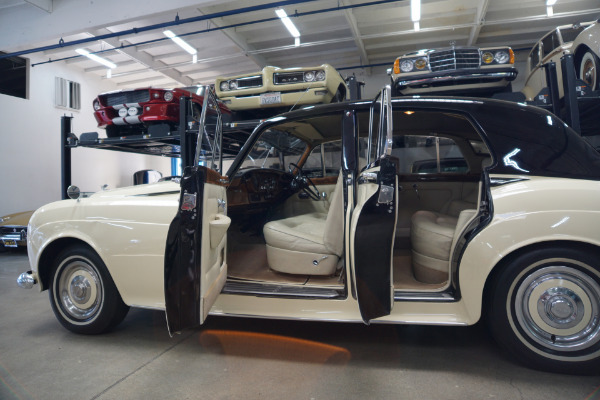 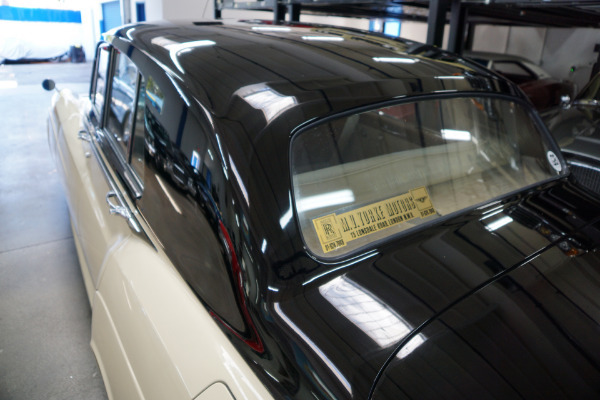 Yorke Motors' another Rolls Royce dealership of central London, England before being exported to the USA and ultimately ti become one of the most cherished cars of the legendary 'Tom McDonald' collection. 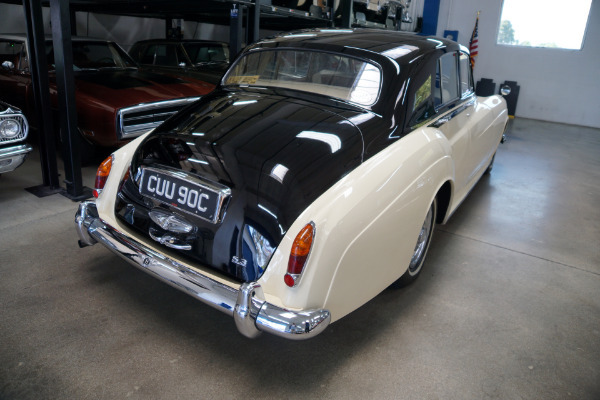 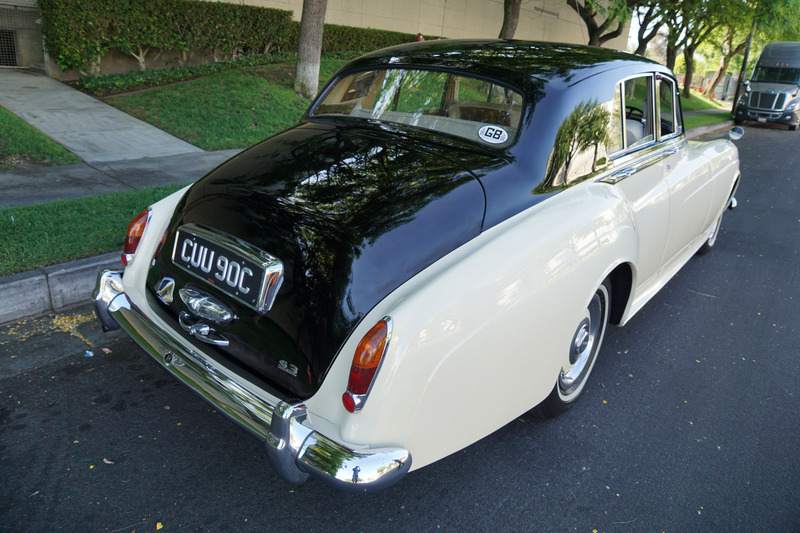 The beautiful color combination of the car's original 'Masons Black over Cream' two-tone factory color exterior paint complete with hand painted pin stripes is absolutely stunning and still quite pristine. 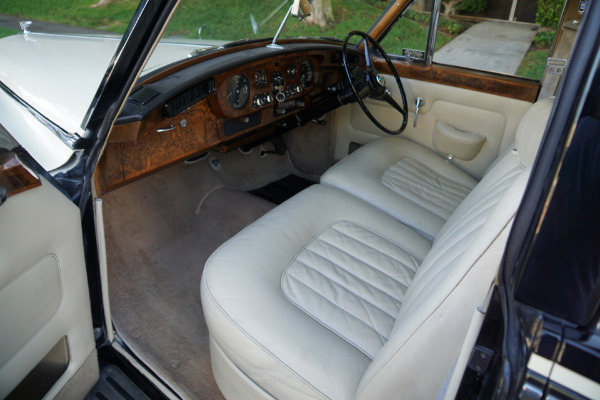 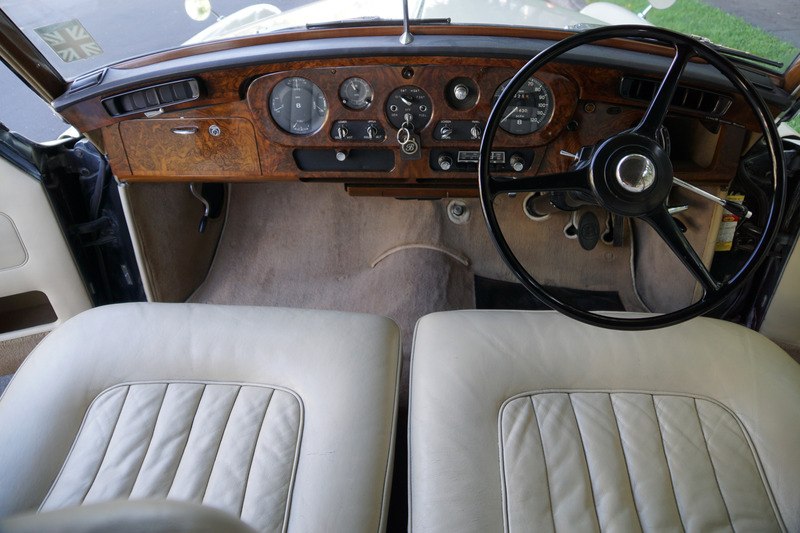 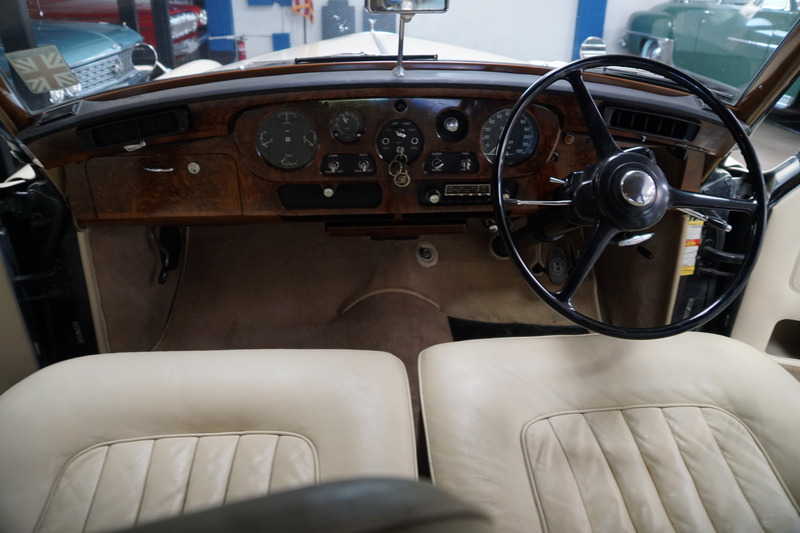 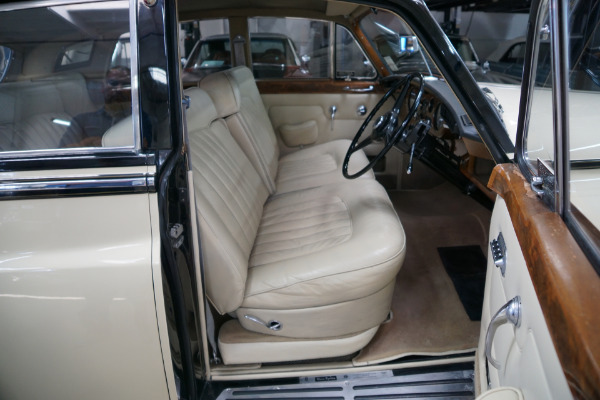 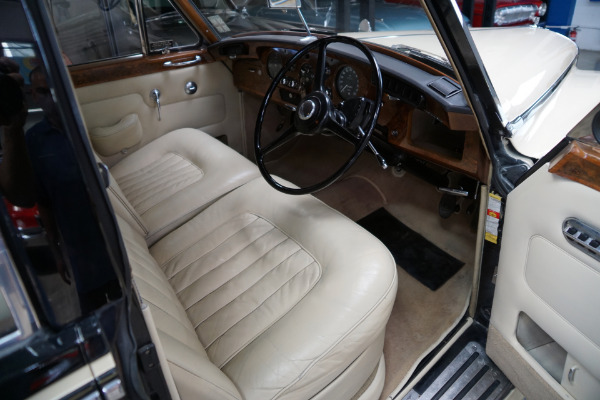 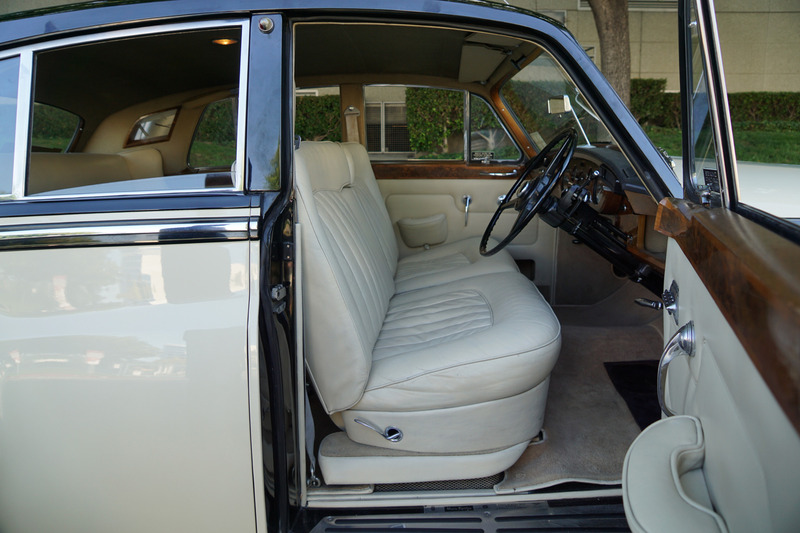 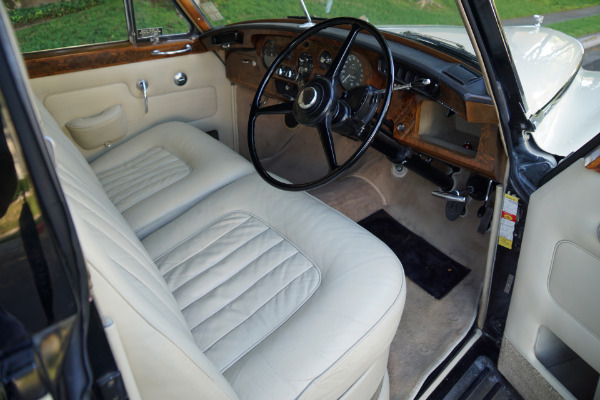 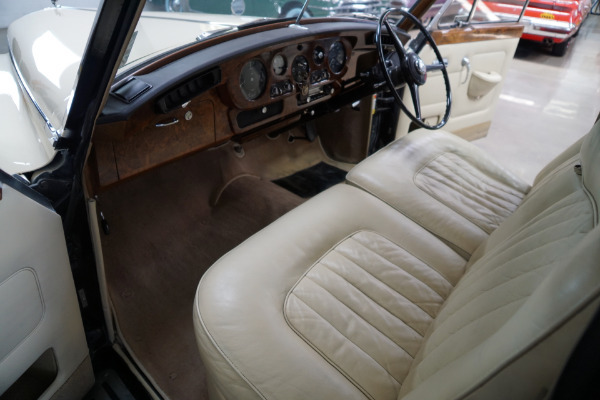 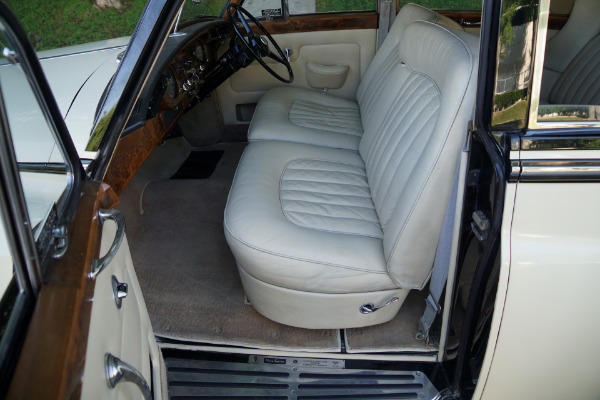 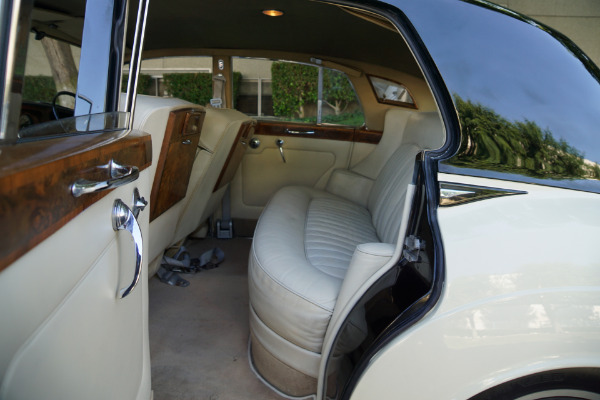 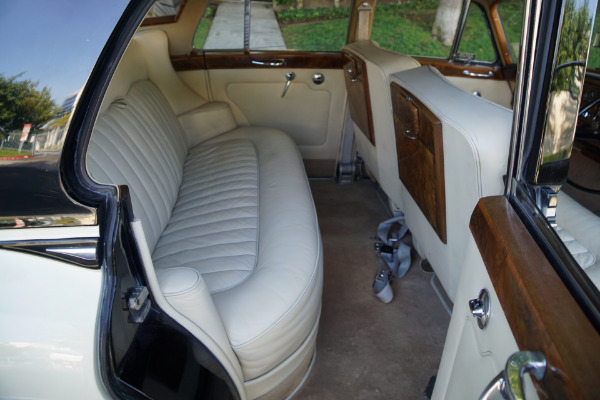 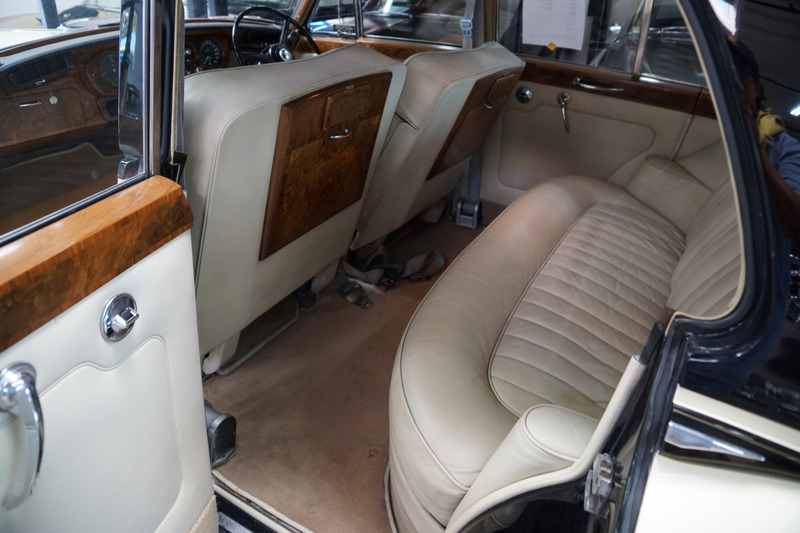 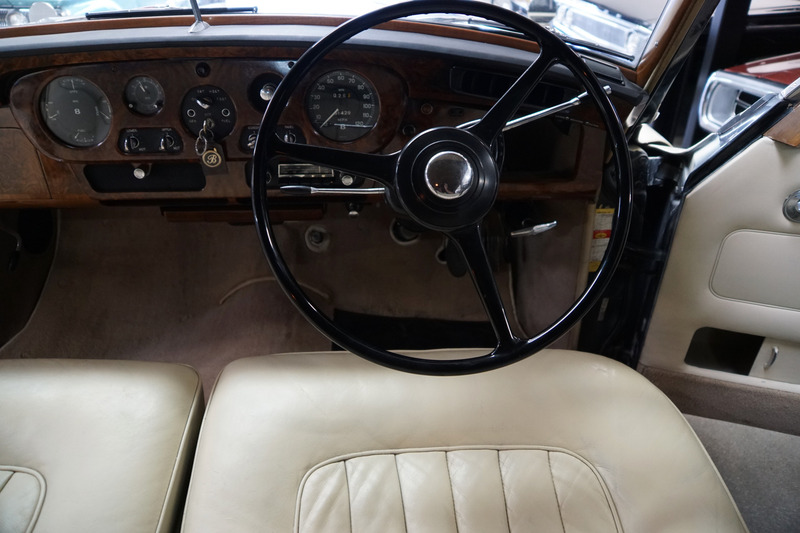 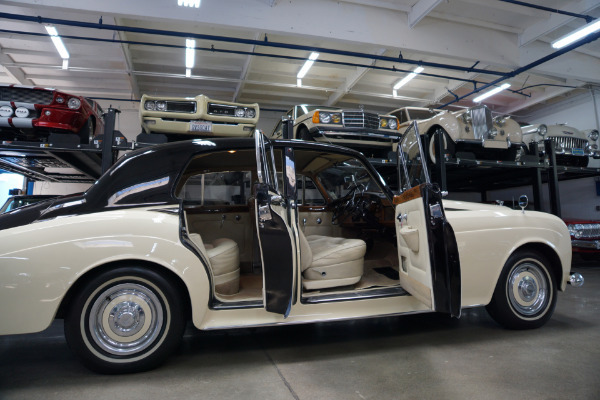 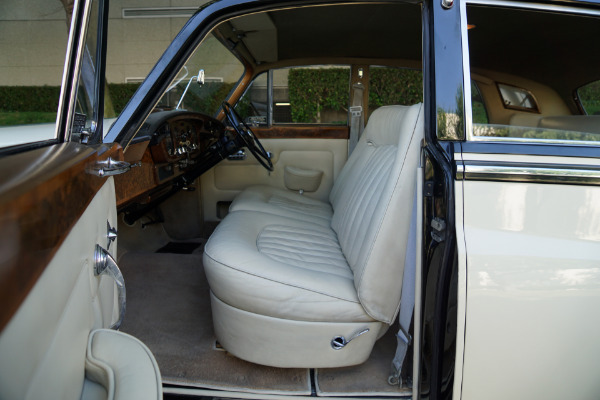 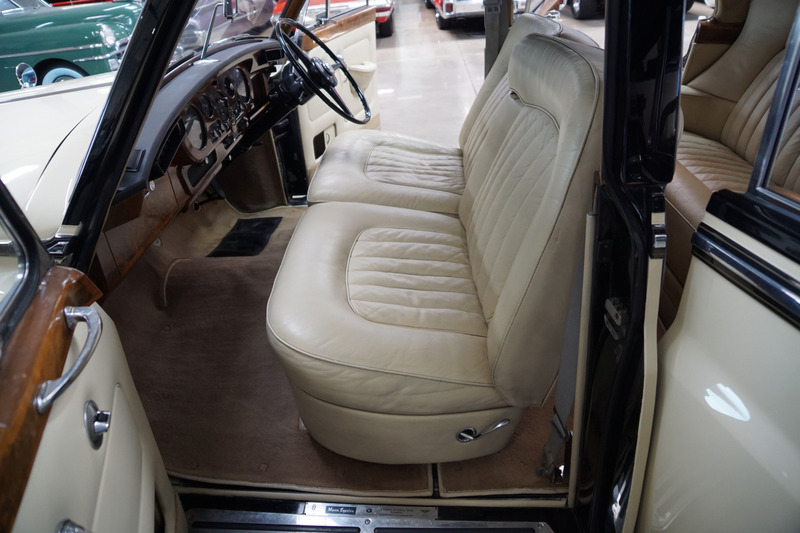 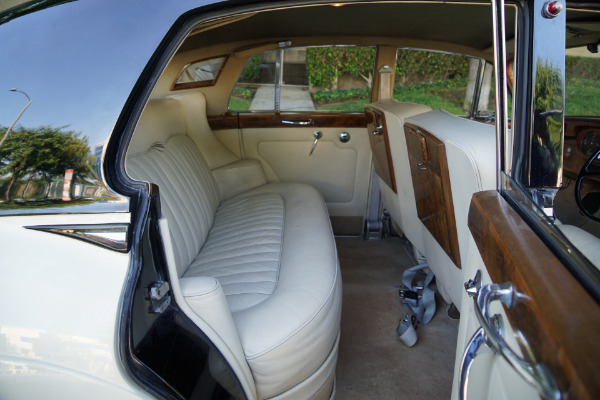 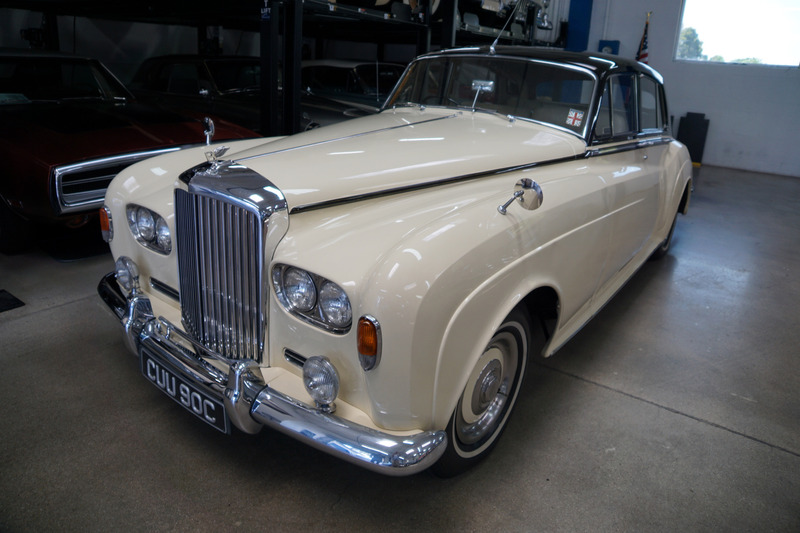 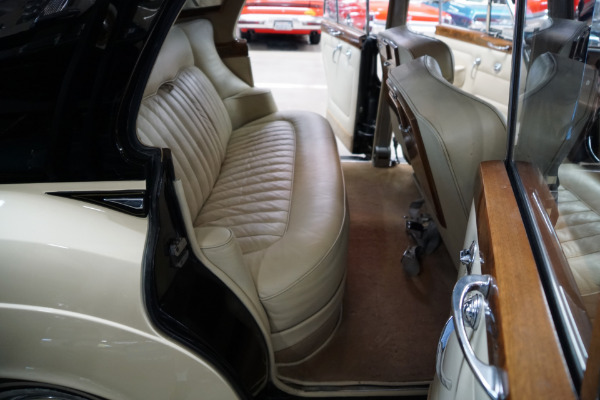 The car's full and all original 'Connolly' light beige leather interior, which was exclusively used in Rolls Royce and Bentley's and came from unfenced cows which produced unblemished hides, has only very minor signs of wear and all the chrome work, including the front Rolls Royce grille and the front and rear bumpers, is absolutely outstanding. 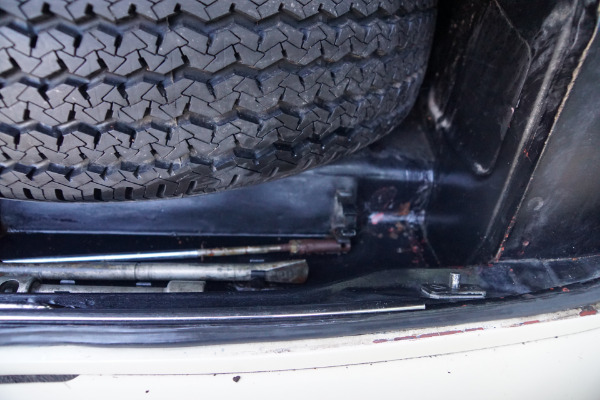 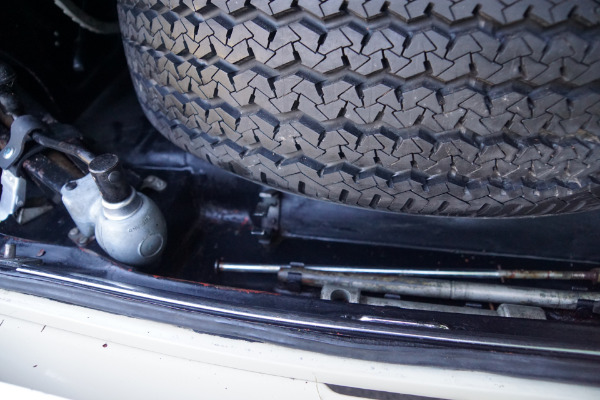 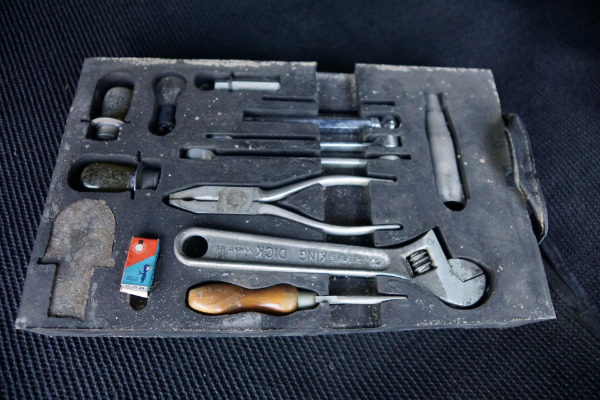 The car has it's original spare wheel and original jack, factory tools and heavy tools; electric inspection lamp and charging plug, pressure gauge and tire pump are still located in their rightful place of storage in the trunk compartment. 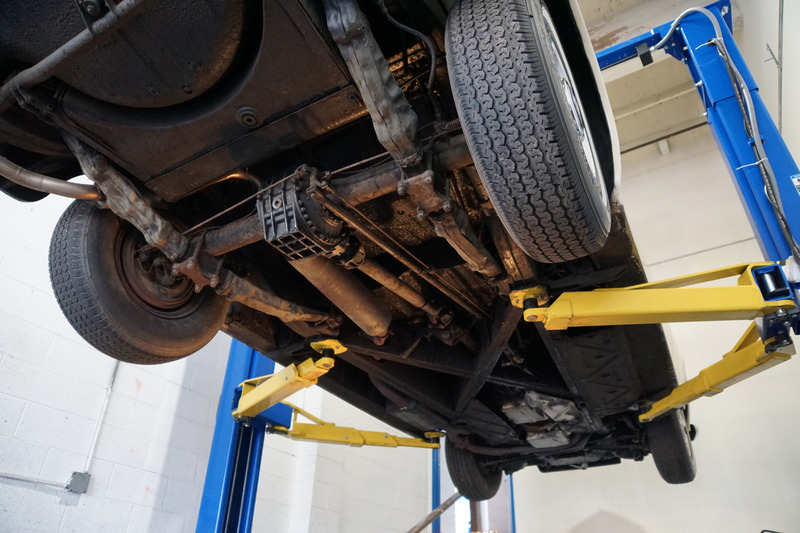 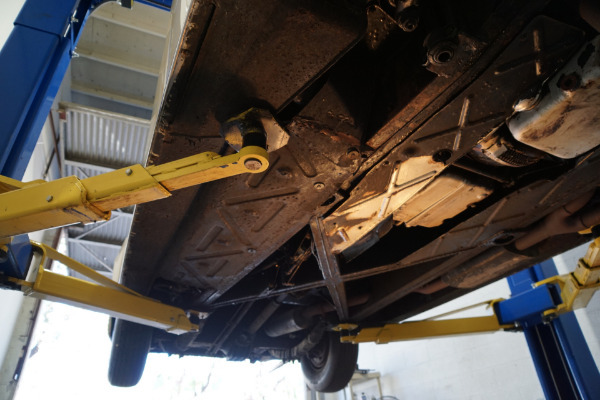 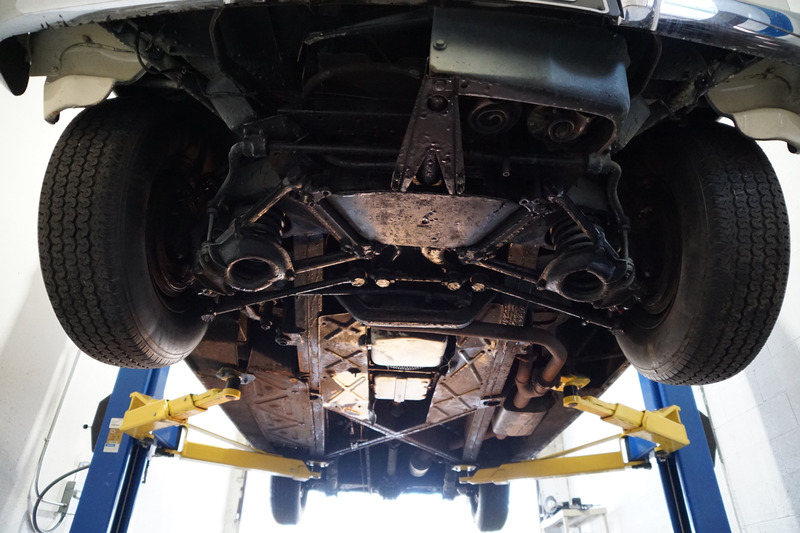 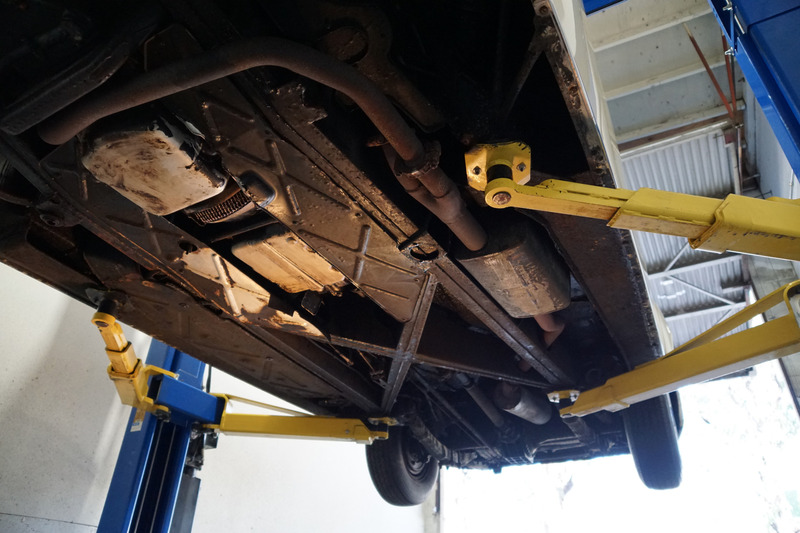 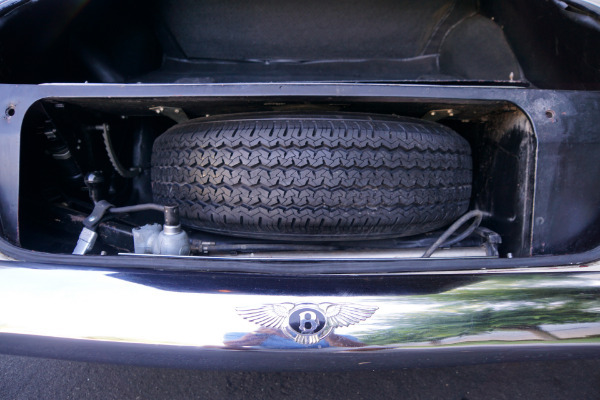 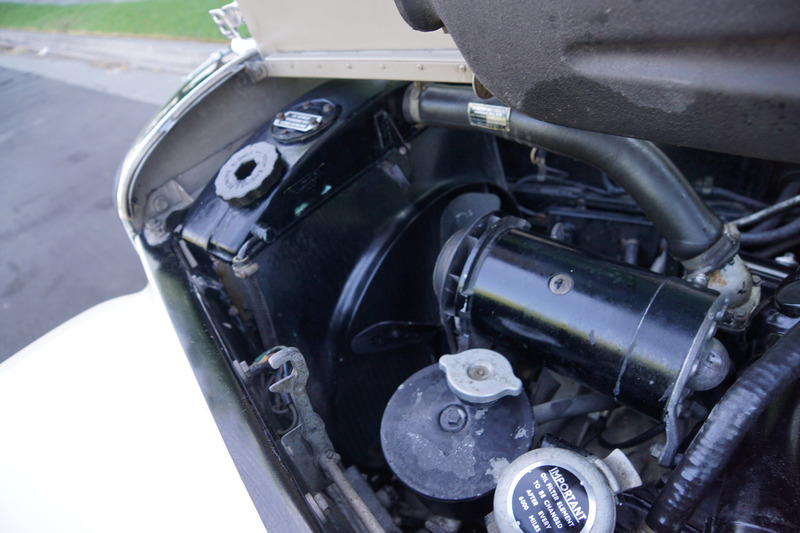 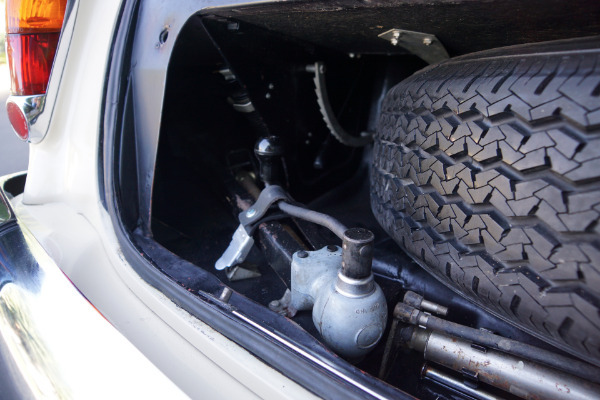 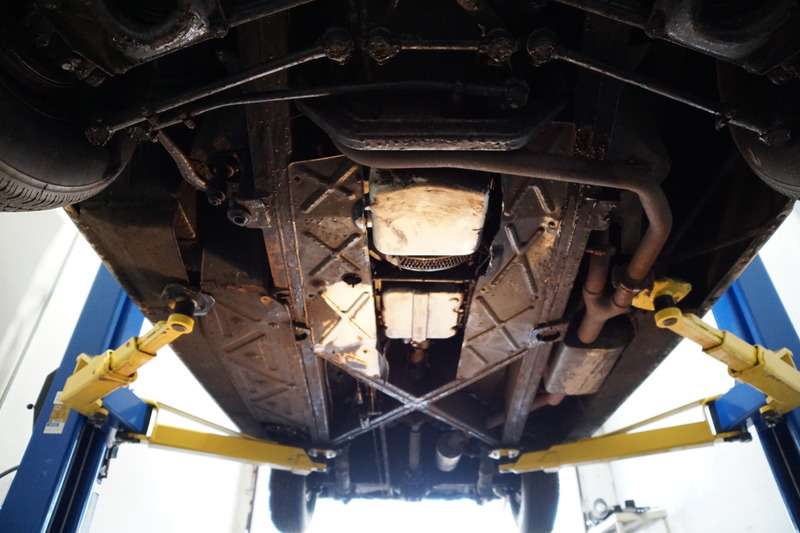 An obviously always garaged example and owned by obviously only very careful and meticulous owner's driver's/collectors for over fifty years - never abused - see below undercarriage photos for probably one of the finest shots of an all original 1965 Bentley undercarriage anywhere! 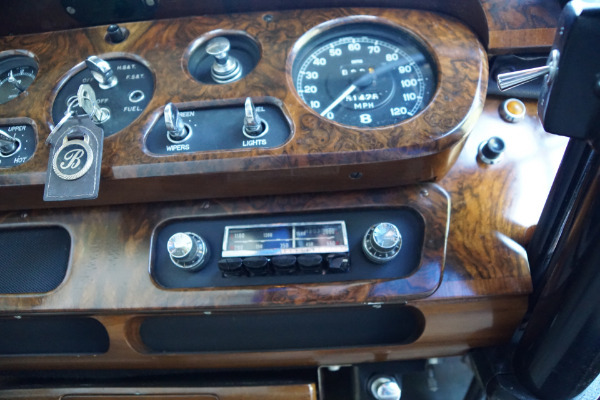 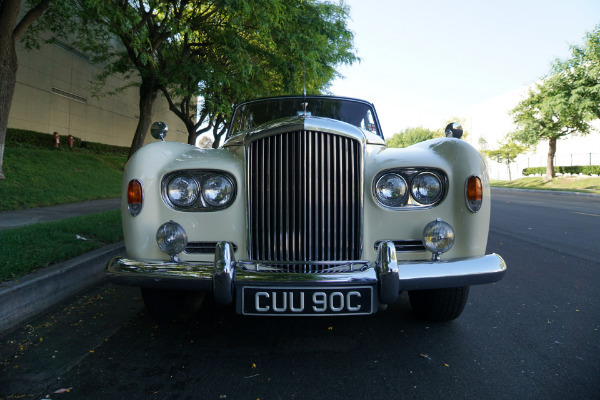 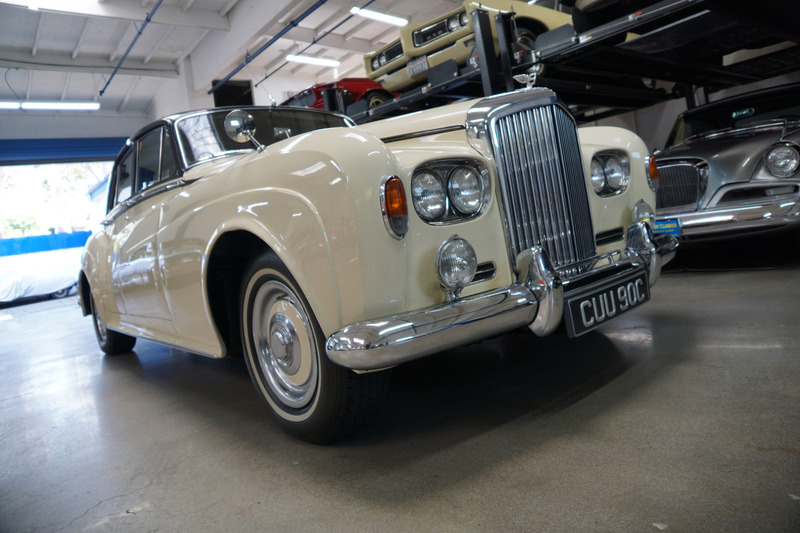 The car drives exactly like a well maintained and serviced Rolls Royce or Bentley should and must be driven to be fully appreciated and seen to be believed! 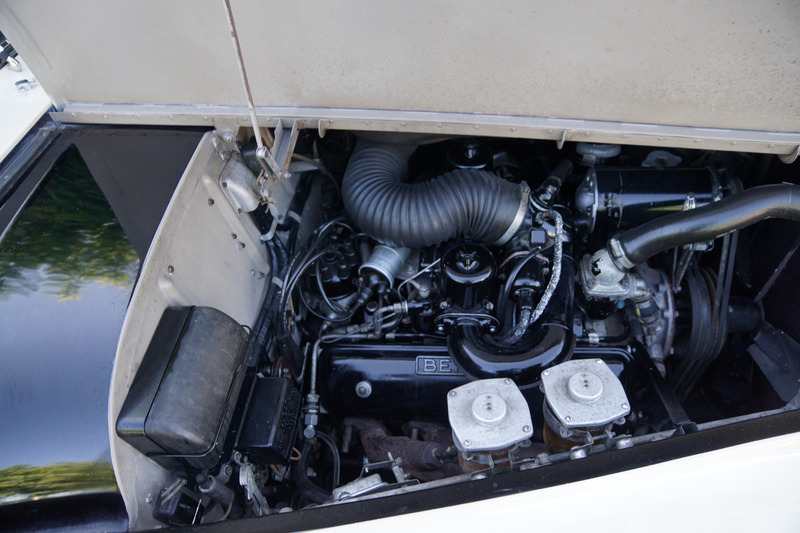 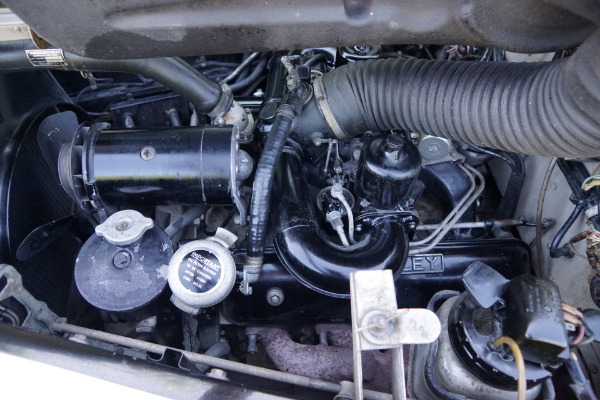 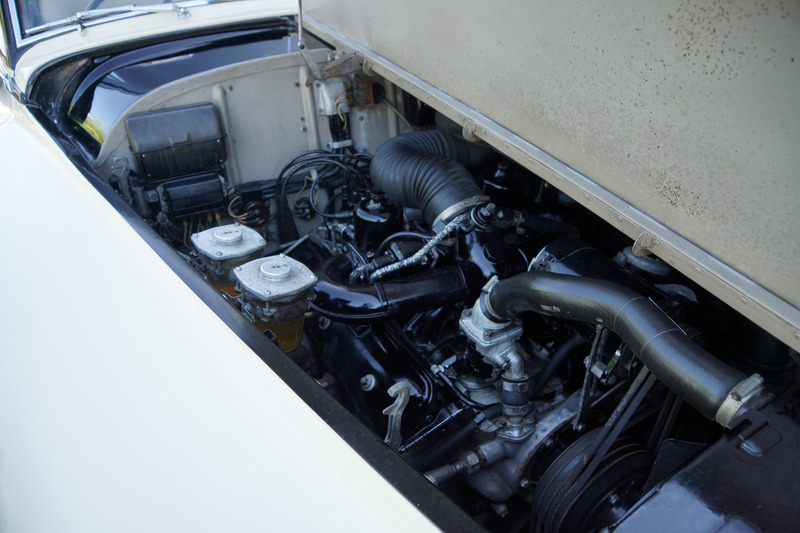 The original 6.2L V8 engine is extremely strong and the engine temperature always remains cool. 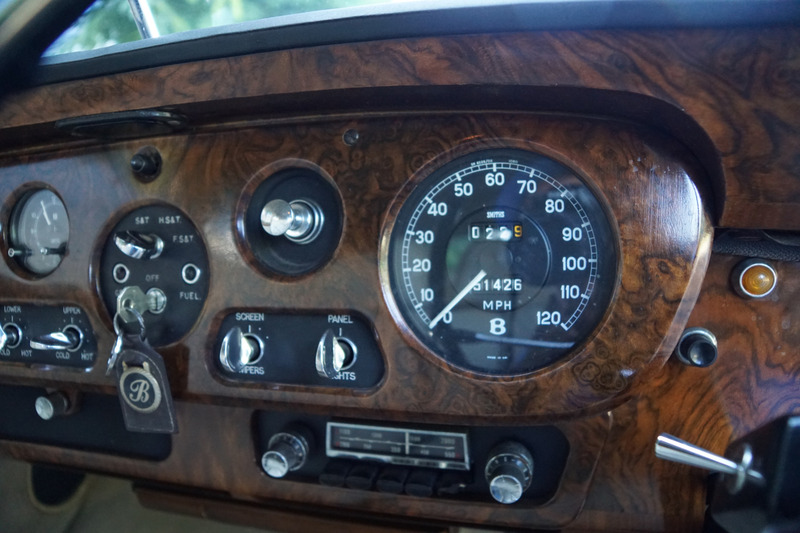 The car drives straight as an arrow with no strange road wobbles, shakes or rattles and is a truly remarkable and responsive daily driver! 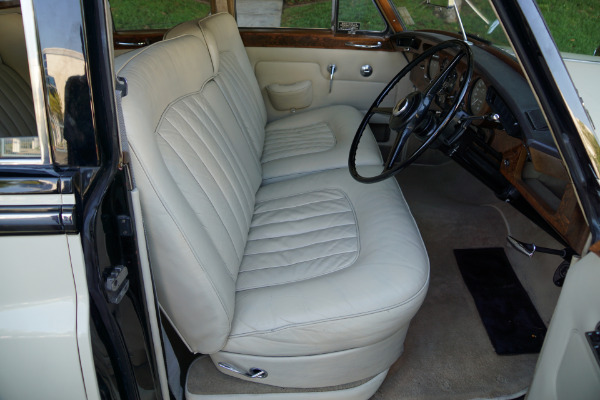 The car still boasts its original radio, power steering, power windows, power brakes, adjustable ride control, Lucas fog lights, electric window defogger, twin picnic tables, lambs wool carpeting and mohair headliner, electric clock and the car still retains its rare leather wrapped rear leaf springs. Turn-key ready, as already stated, this particular model truly must be driven and seen to be fully appreciated. 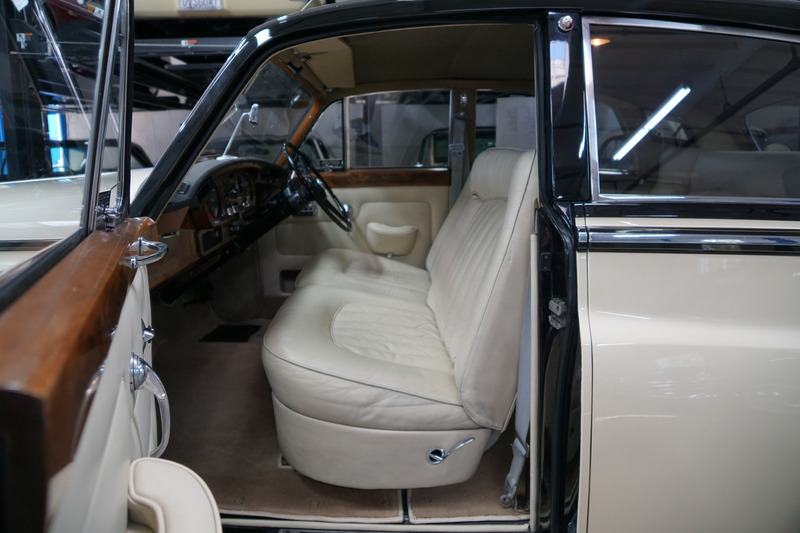 You will surely look long and hard to find a finer example of this undocumented but seemingly original 51K miles 1965 Bentley S3, which looks virtually identical to its twin Rolls Royce Silver Cloud III apart from grilles and hubcaps, still boasting its original 'Marston Excelsior' of Leeds, radiator in the front of the engine under the hood. 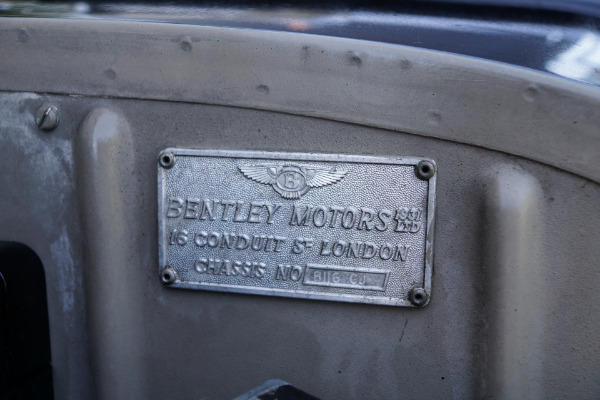 Marston Excelsior originally made metal fuel tanks for Wellington bombers and other aircraft and were commissioned by Bentley to install their radiators in the early sixties! 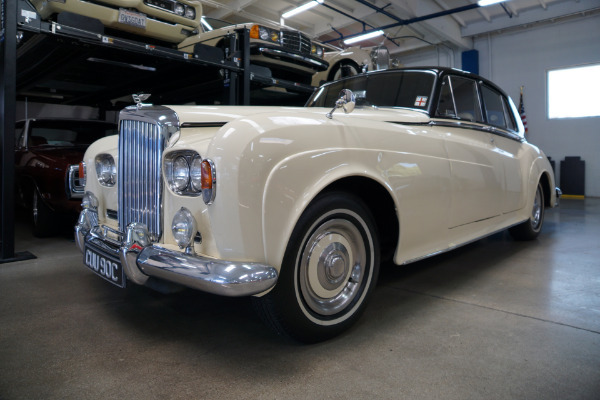 For those who are unfamiliar, Rolls Royce no longer exists as it had for over one hundred years - this is one of the last in the original line of cars built in the legendary Rolls Royce factory in Crewe, England with a quality and craftsmanship that far surpasses that of today's mass produced models with many BMW parts - this is a rare opportunity to own a piece of automobile history, from a time when Rolls Royce and Bentley were truly building the world's finest motor cars. This increasingly desirable and the final year of the now most collectible of the last and final third series of this legendary marque, the Bentley S3, boasts the all aluminum powerful 6.2L V8 engine and the redesigned front-end lower hood and radiator with quad front headlamps mounted in oval nacelles - considered a shocking violation of RR tradition at the time with one magazine went so far as to refer to the quad lights as the equivalent to installing a jukebox in Winchester cathedral! 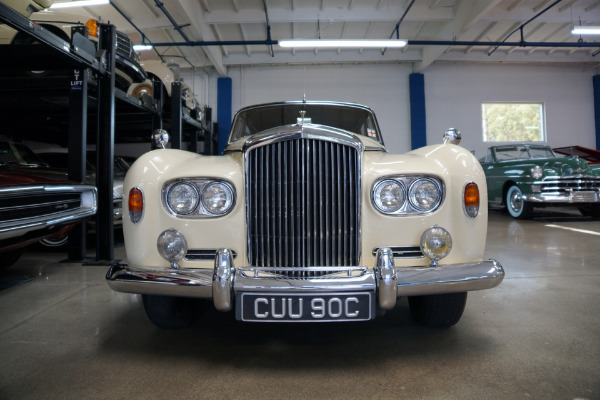 Along with it's tall grille and Bentley 'Flying B' hood ornament mascot on the hood, the S3 is a moving work of art from a time when Rolls-Royce and Bentley were famously building the "Best Cars in the World" with the craftsmanship and quality of these cars obviously speaking for themselves. It is becoming increasingly hard to find such unabused and rust free examples as these models become thinner and thinner on the ground and harder to find as time has its way with them and with only some 1,286 Bentley S3 models built between it's 1962-65 production years and with this being the first model in which Rolls Royce production exceeded Bentley's, it should ensure even greater rarity for this particularly rare Bentley S3 example, especially considering how numerous numbers of these rare Bentley's were tragically and unceremoniously 'butchered' (converted) into Rolls Royces by replacing their beautiful and stately original 'Bentley' grilles and hubcaps and mascots! 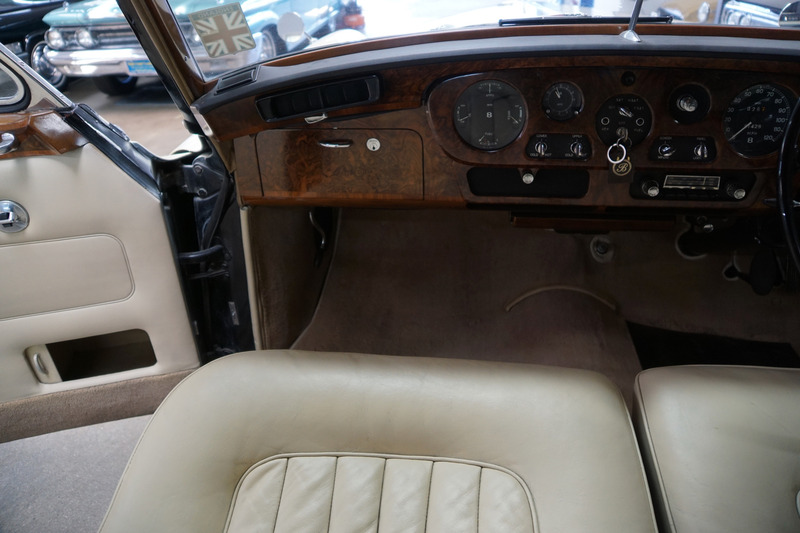 With all models now very thin on the ground you will surely look long and hard to find another such example in such fine and mostly all original condition with its original owners manual, factory tools and heavy tools and spare wheel! 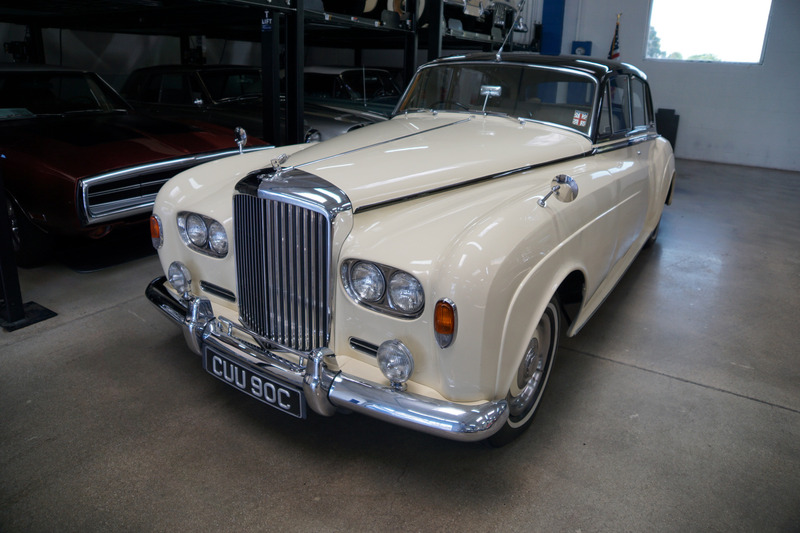 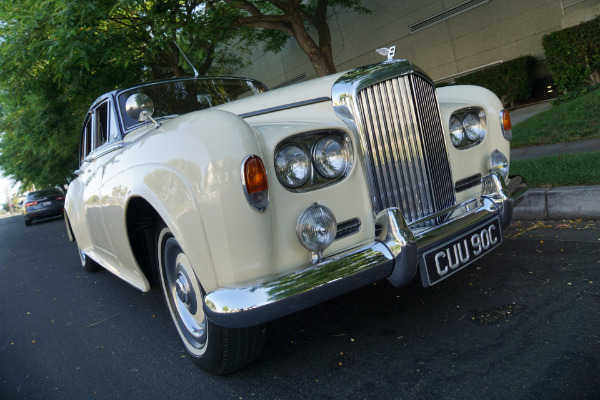 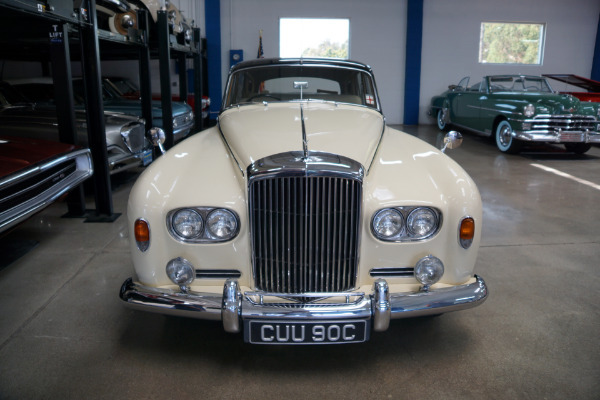 So bid with confidence, with Silver Cloud III and S3 convertibles now regularly selling in excess of $500K to over $1M, this will no doubt prove a fabulous investment for the astute investor, Bentley or Rolls Royce enthusiast or collector or simply a great daily driver or weekend toy for the discerning luxury classic car owner!